The Rectory at Clifton Campus was fully refurbished in 2015/16 and is now a popular place to eat and socialise. 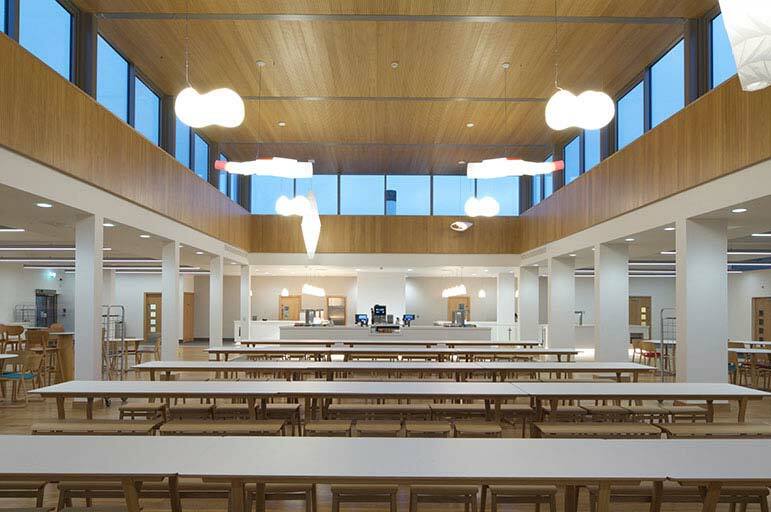 Since reopening its doors in January 2016, the Refectory at Clifton Campus has created a light and airy, modern and vibrant space for students, staff and visitors of Clifton Campus to eat, drink, socialise and work inside and outside. 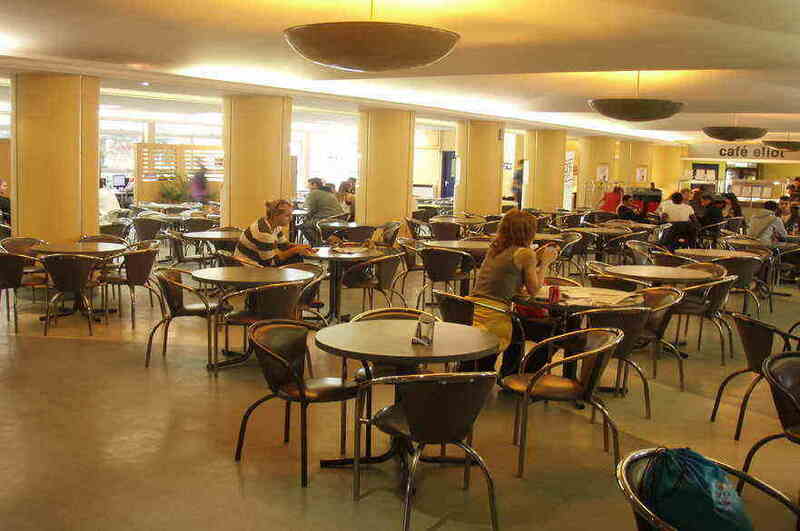 Located on 0.87 hectares of Clifton Campus with a gross floor area of 870 m2 all dedicated as a dining area whilst also creating an alternative area for study and collaborative working. The refurbishment of the dark and dated space has included new decoration, furniture, lighting and the impressive lantern roof with oak panelling that naturally lets light flood in through to the room. Three brand new serveries have been created to include a hot food counter, a ‘grab and go’ and a deli bar. The external walkway referred to as the ‘Loggia’ provides the continuation with the colonnade running along the front of the Pavilion and Teaching and Learning building. Both buildings have achieved BREEAM Excellent and together have created the ‘Heart of the Campus’. The basic building costs for the project was £1,454 per m2, with services costing £436 per m2 and external costs being £72.41m2. The predicted electricity consumption of the building is reported as 351.96 kWh/m2 with predicted water consumption as 10m3/person/year. Sustainability has been at the forefront of this refurbishment project throughout the design, construction and post construction stages, with an overall BREEAM target score of ≥55%, to achieve a Very Good rating as part of NTU’s Carbon Reduction Strategy for the Estate. Throughout the project, the team worked closely with NTU’s Sustainable Development Team (then known as the Environment Team) to ensure that the environmental impact of this development was kept to a minimum. The team did this by implementing BREEAM Refurbishment 2008 (Design Stage and Post Construction Stage) as well as following NTU’s Environmental Management System (EMS) ISO14001. A full list of these can be found via NTU’s Sustainability webpages. A copy of the Sustainable Procurement Policy Statement can be found on NTU’s Sustainability webpages.